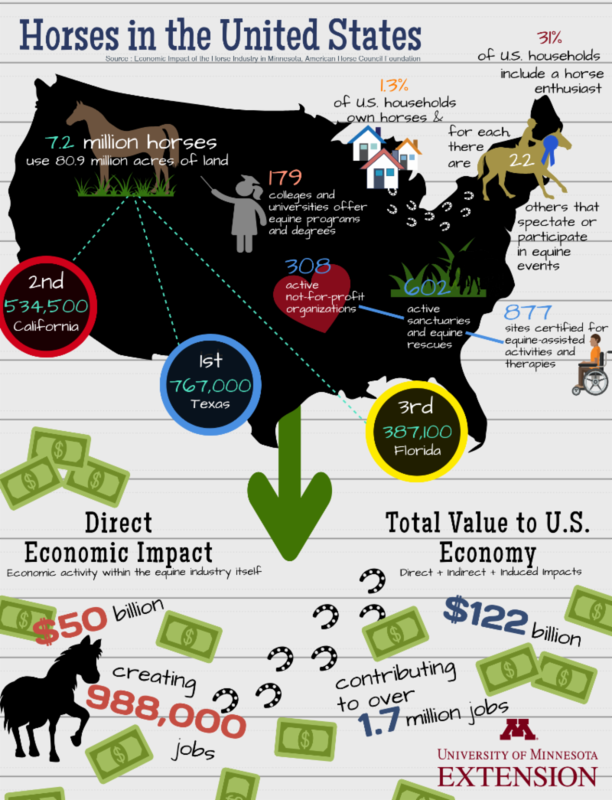 The American Horse Council Foundation released it’s Economic Impact of the Horse Industry report in 2018. DAHTA purchased the report specifically for Minnesota. A whopping 30.5% of households in MN contain horse enthusiasts! Direct contribution to MN GDP is $541 million; total value added to MN economy is $1billion! Check out the national infographic below. Posted in Horse trails in northern Minnesota. All content on DuluthHorseTrails.Org is ©2019 by Duluth Area Horse Trail Alliance, a nonprofit organization supporting the equine community in the Duluth, MN, area.